Cut cabbage in quarters, cut out and discard core, and chop cabbage into bite-size pieces. Melt butter in a large frying pan or saute pan over medium-high heat. Add cabbage, sprinkle with salt, and add 3 Tbsp. water. 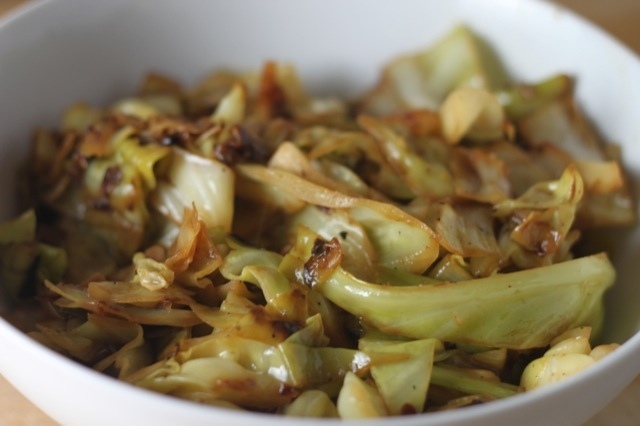 Stir to combine, cover, reduce heat to medium-low, and cook until cabbage is very tender and liquid is absorbed. Season to taste with salt and serve warm.